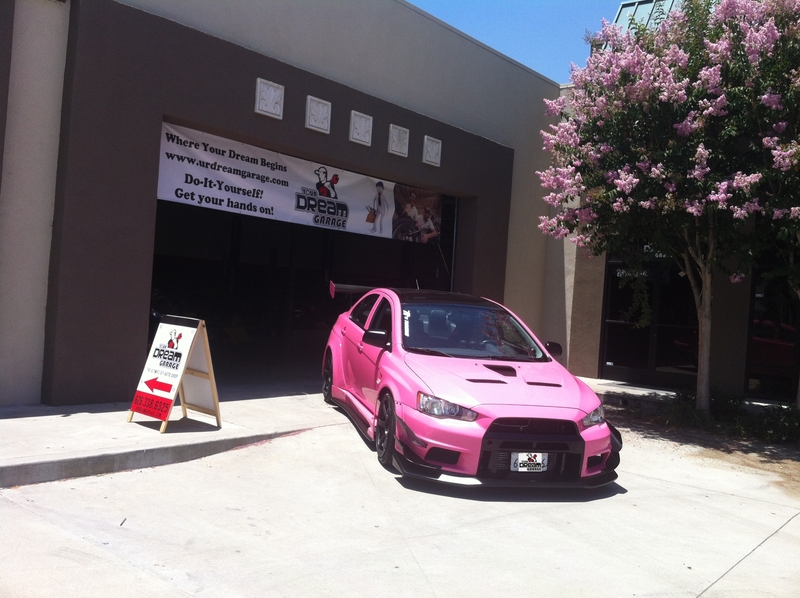 Thanks to Chase for stopping by our shop with his fresh Evo X. 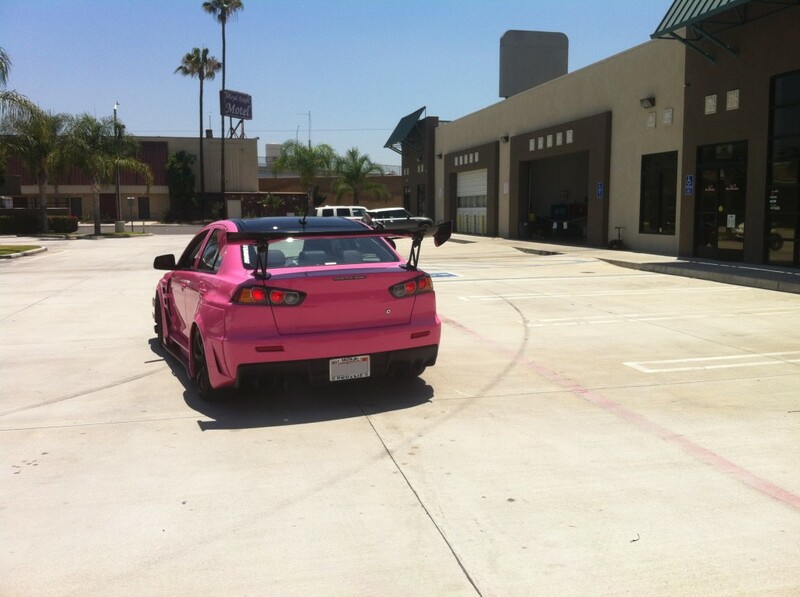 He just picked up his car in the morning and then came straight to our shop. 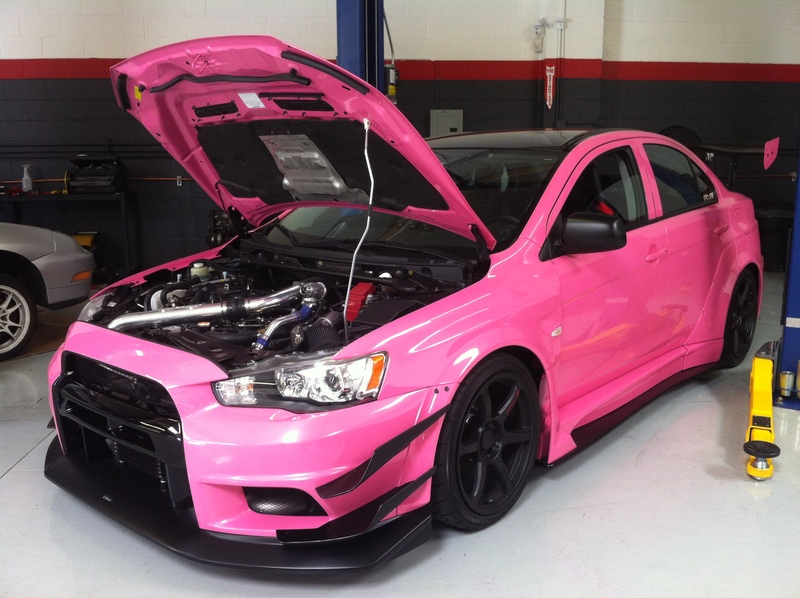 The car comes with varies wide body and painted in pink with four layers. 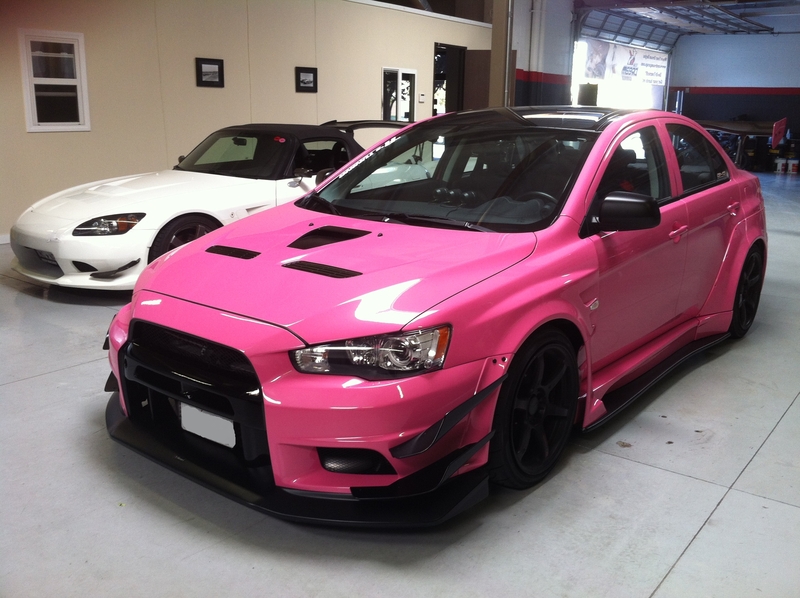 The finish is extremely impressive. Just the paint job alone cost more than $10,000. The modification budget on this car was more than its original price and it just looks so unique. You will soon see it more often at car shows and events. 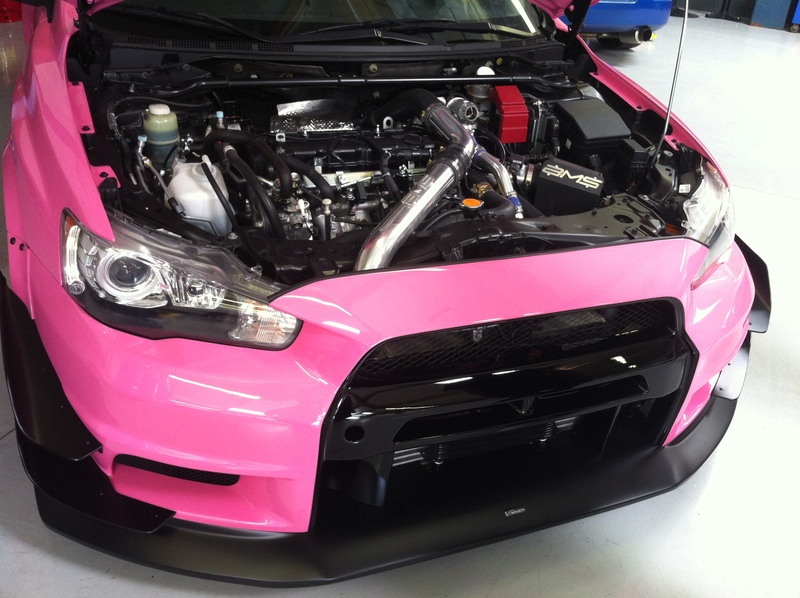 Your Dream Garage Do It Yourself Autoshop is pleased to be the first stop for this beauty. We will surely have more people join our community very soon, and we will be showing you more “Art of Automobile”. 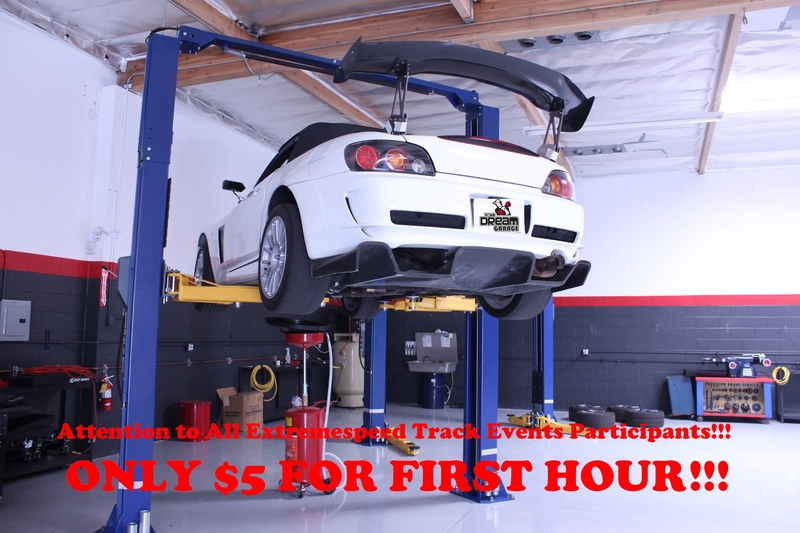 Your Dream Garage Do It Yourself Auto Shop is pleased to announce a partnership deal with Extremespeed Track Events. Participants of the July 15th and the 16th Track event get a special rate for their first hour of shop use. The normal price is $25/hour for use of the lifts, but July 13th and 14th participants can reserve our FIRST HOUR FOR ONLY $5. You may do your engine, transmission, differential or brake maintenance, or whatever task you want after some hard driving. No further costs will be incurred if you stay within the 1 hour. Reservation must be on Sunday, July 14th or Monday July 15th between 8am and 8pm, and the special first hour rate $5 is due at the time of reservation. This offer cannot be combined with any other discount promotion. Usage over one hour will be charged at the regular price.